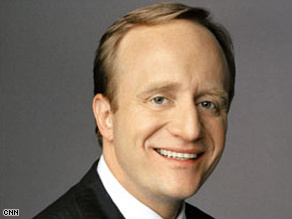 Editor's note: Paul Begala, a Democratic strategist and CNN political contributor, was a political consultant for Bill Clinton's presidential campaign in 1992 and was counselor to Clinton in the White House. Paul Begala says South Carolina's governor should refuse to take federal aid he opposes. Gov. Sanford can lead the way. South Carolina should decline to accept any federal funds for transportation, education, health care, clean energy or any of the other ideas President Obama is advocating to fix the economy. And the rest of the GOP can follow suit. South Carolina is a ward of the federal government. It's been on welfare for years. If Gov. Sanford is so all-fired opposed to federal spending, let's start by cutting federal spending in South Carolina. Otherwise, he's got about as much credibility on fiscal conservatism as A-Rod has on steroids. Under the Bush-Sanford economic theories, South Carolina's unemployment rate has reached 9.5 percent -- among the highest in the nation. But if Gov. Sanford wants to continue those policies, good luck to him. Make no mistake about it, Republicans like Gov. Sanford want to go back to the bad old days of George W. Bush. In his CNN.com column, Gov. Sanford expends 605 words attacking President Obama's plan to turn the country around after eight years of Bush-Republican-Sanford economics. "... cutting the payroll tax, opening foreign markets through an expansion of our trade agreements, and reducing our corporate tax, which is among the highest worldwide." Wow. As we say in the South, I've got the vapors. So cutting taxes and cutting trade deals will get us out of this mess? That's all we need to do? We don't need to extend unemployment insurance, or update health information technology, or move to renewable energy or repair roads or rebuild bridges or modernize the power grid or prevent states and cities from laying off teachers and cops or any of the other myriad proposals in President Obama's plan? To be sure, President Obama's plan includes tax cuts -- mostly for middle-class families. But cutting taxes on corporate profits is of little utility when there are no corporate profits to tax. And precisely with whom would Gov. Sanford cut these miraculous trade deals? In case he hasn't been watching CNN, the entire world economy is in the tank. If cutting taxes for the rich and for big corporations and promoting foreign trade alone could energize the economy, we wouldn't be in this mess. But maybe Gov. Sanford is right. Let's keep our federal money -- give it to states where the governors will actually put it to good use. We'll let Gov. Sanford try his plan, we'll try President Obama's plan. Something tells me Gov. Sanford won't take that gamble. Because for all his rhetoric about hating federal spending, he can't wait to get his hands on our money. The opinions expressed in this commentary are solely those of Paul Begala.